In Segment One, Jerry dissects the week’s important economic and financial news including the latest PPI and CPI figures for April. Some economists are now warning that the U.S. is faced with disinflation (a general decrease in the existing inflation rate.) Jerry explains why this is important and how investors should be preparing for the Federal Reserve’s eventual exit strategy from its massive quantitative easing program. S&P 500 Pure Value ETF RPV This is a good play for bullish markets. S&P 500 Pure Growth ETF RPG This is a good play for bullish markets. Core S&P Mid-Cap ETF IJH This segmented Index has outperformed the overall S&P 500 for years, including this year. This is a good play for bullish markets. MidCap Dividend Fund DON This is a good play for bullish markets. S&P 500 Industrials Sector ETF VIS This is a good play for bullish markets. Nasdaq Composite ONEQ This is a good play for bullish markets. Nasdaq 100 (Technology) QQQ This is a good play for bullish markets. U.S. Financials (Financial Select Sector SPDR) XLF Financials have led the U.S. stock rally since last November. However, I don't expect the financial sector perform as well for the rest of 2013 in the face of rising interest rates. S&P Equal Weight Consumer Discretionary RCD This is a good play for bullish markets. Credit Suisse Cushing 30 MLP Index ETN MPLN BUY POINT TRIGGERED AT $29.23. This ETF offer a good way to get access to numerous MLPs in one ETF. U.S. Dollar (Short) UDN TECHNICALS NEGATIVE. Think the U.S. Dollar is heading down in the short-term? Consider this ETF, which makes money when the U.S. Dollar goes down in value. The U.S. Dollar's rally remains intact but is nearing exhaustion based on technical indicators. UDN makes it easy for investors and traders to short the U.S. dollar in a single ETF. It bounced higher last week as we expected. Gold (Long) PHYSICAL ATTEMPTING RALLY AFTER STRONG SELL-OFF BUT ALL SHORT-TERM TECHNICALS INDICATORS REMAIN NEGATIVE; LONG TERM UPTREND STILL INTACT DESPITE THE RECENT CARNAGE. Gold (Short) GLL SHORT-TERM UPTREND INTACT. For those who want to make money shorting gold on down days, this is a good trading vehicle. Silver PHYSICAL ATTEMPTING RALLY AFTER STRONG SELL-OFF BUT ALL SHORT-TERM TECHNICALS INDICATORS REMAIN NEGATIVE; LONG TERM UPTREND STILL INTACT DESPITE THE RECENT CARNAGE. DISCLOSURE: Jerry Robinson currently owns shares of shares of the following ETFs: none, and continues to own physical gold and silver. NOTE: Jerry will only consider buying long ETFs when our Market Conditions Indicator Light is GREEN. During down markets (RED LIGHT), Jerry uses inverse ETFs to short the markets. Want access to this type of information from Jerry Robinson? Become an Gold member today for only $9.95 and get members-only access to Jerry’s latest insights! LOCK IN YOUR FTM INSIDER RATE NOW! MAJOR PRICE INCREASE COMING JUNE 2013! For years, investors and those seeking true financial freedom have gained access to all of Jerry Robinson’s top economic and investment insights for only $9.95 per month, or $99 per year through our Gold member program. However, on June 1, 2013, the price will DOUBLE to $19.95 per month and $199.95 per year! All current subscribers will NEVER experience a price increase. However, after June 1, all new subscribers will no longer have access to our current low prices. If you have been thinking about becoming an FTM Insider, the time to act is NOW! Don’t lose out on locking in your price forever on Jerry’s best investing and economic insights! Later, Tom Cloud and Jerry Robinson discuss the economy, including the gold and silver markets. Gold has lost over 7% in just 7 trading sessions. Meanwhile, silver is carving out a new multi-year low not seen since October 2010! What lies ahead for precious metals and how will the Fed’s June meeting impact hard assets? Find out in this week’s Precious Metals Market Update. In Segment Two, Jerry is joined by Pastor Mark Biltz from El Shaddai Ministries in Washington state. Pastor Biltz has been researching the Hebrew roots of Christianity for several years and has stumbled across an amazing discovery. According to the NASA website, four total lunar eclipses are scheduled to occur on the Jewish Feast of Tabernacles and on Passover in 2014 and 2015. 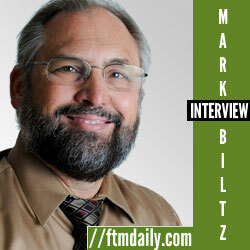 According to Pastor Mark Biltz, the four back-to-back lunar eclipses occurring on Jewish Feast Days in 2014-2015 signifies important events for the nation of Israel — and even the global economy — in the months ahead. This is a fascinating interview. Don’t miss it and be sure to share it with your family and friends through email and social media!